When Ontario gave birth to its public power industry a century ago, it had two goals: Spread “the hydro” widely to cover its huge costs, and keep outside players out. Treating electricity as a political plaything looked after the first goal. Governments of all stripes have been guilty of keeping power rates artificially low. A ruthless monopoly took care of the second objective. Only with Ontario Hydro’s breakup in the late 1990s, did the province’s iron grip on power begin to loosen. Consumers are still paying for that legacy: Billions in stranded debt and cost over-runs no private utility would accept. 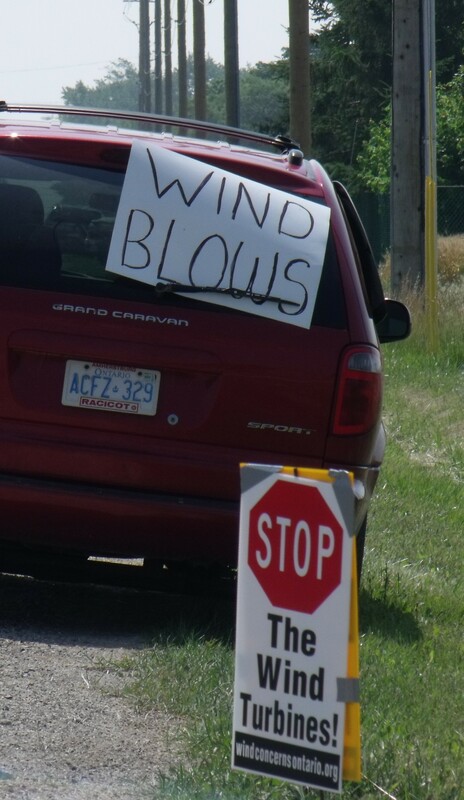 But even with multinationals now in the market, Ontario seems to be backsliding to its autocratic past in its handling of one energy file — wind farms. Lured by the deep subsidies Ontario pays them, energy companies are carpeting huge tracts of prime rural land with industrial wind turbines, some of which stand as high as 30 storeys. Stripped of control by the province over where they can go, rural areas are helpless to stop the often-unwanted behemoths. But as QMI Agency reported this week, far more turbines are on the way — incredibly, with almost no new public debate.